Upshur Street Books is now Loyalty Bookstore! Sign up for the Loyalty newsletter for news and updates! Cozy independent bookshop with exciting titles, author readings, & events. LOCATED iN THE HEART OF THE PETWORTH NEIGHBORHOOD OF WASHINGTON DC. Whatever type of book you want on your shelves, Upshur Street Books is here to find you the funniest, smartest, and all-around best examples in every genre. Our booksellers are delighted to make recommendations or help you find the perfect gift. And if we don’t have just the right thing in the store, we can order in almost any book - and even ship it directly to you. 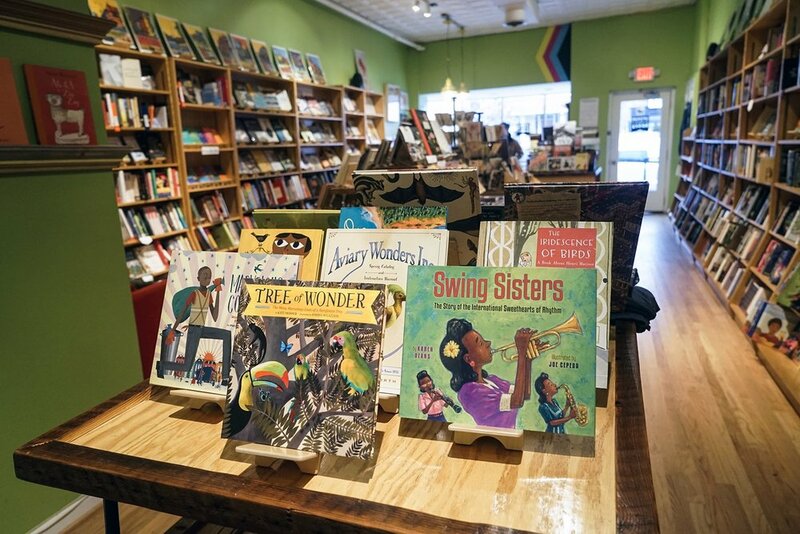 Since our opening on November 1, 2014, owner Paul Ruppert and the Upshur Street booksellers have been invested in Petworth and in promoting DC culture – from literature to food, music, theater, and art. We get to know our customers well, and our selection reflects both our booksellers’ and our community’s taste. As well as providing a carefully handpicked selection of books and gifts, we also strive to be a welcoming community space. We schedule innovative programming that includes author talks and signings, tastings, workshops, walking tours, sing-alongs, panel discussions, and much more. Upshur Street Books is also happy to act as a book vendor at other events and locations. We’ve enjoyed selling books at many conferences and festivals, taking care of everything from ordering to setup to sales. Come in to discover your next favorite book! Ask our knowledgeable staff for a recommendation, check out our featured titles, or browse our shelves at your leisure. And if there’s anything that you want to see from us (graphic novel book group? French class? Kids’ art hour? ), we’d love to know! Our goal is to provide what our community wants; after all, we would not be here without your support.